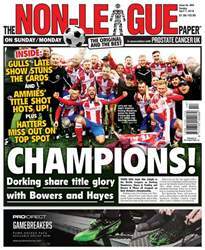 (0 Customer Reviews) | Write Review 52 issues per year The Non-League Paper is the UK's best selling national football publication focussing on the grass-roots game, covering the Blue Square Bet Premier, South and North, and its feeder leagues in England and Wales. Published every Sunday in exceptional clarity. 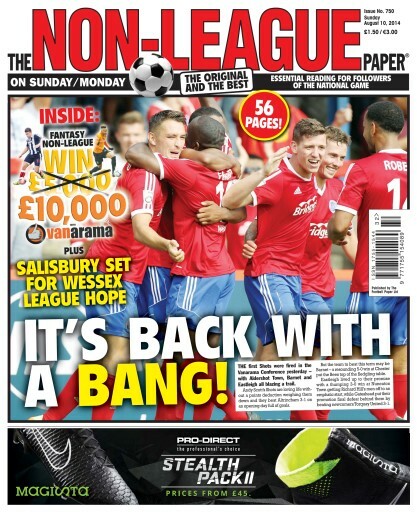 Looking for The Non-League Football Paper in print? 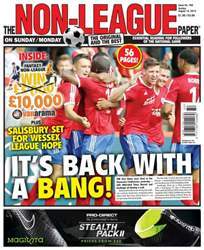 Unfortunately pocketmags.com does not sell print copies of The Non-League Football Paper, but all is not lost. Our partner at magazine.co.uk sells print subscriptions at the best prices online. IT's BACK WITH A BANG! THE first Shots were fired in the Vanarama Conference yesterday with Aldershot Town, Barnet and Eastleigh all blazing a trail. 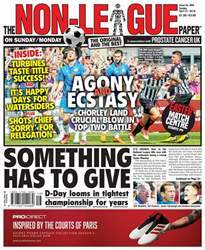 You'll receive 52 issues during a 1 year The Non-League Football Paper magazine subscription. 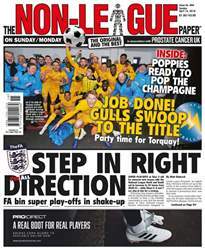 You'll receive 52 issues during a 1 year The Non-League Football Paper magazine print subscription.